At sundown the past Friday, we moved from the frivolity of Adar to the preparatory nature of Nisan. From enslavement…through the narrow places…to, we hope, redemption. Freedom. So how fitting that this past Friday was horrid. Just. plain. horrid. The children would not stop bickering. And Beernut, who had had a particularly trying Thursday, was still out-of-control. Wildly out-of-control. The very thought of cleaning, cooking, baking, and preparing for the Sabbath Bride was more than I could bear. I couldn’t have the angels peer through my windows and see a complete and utter balagan. In my narrow place, it seemed that no Shabbat was better than what would quickly dissolve into yelling, crying, time-outs, etc. Even as I was in the thick of it, I could not say with any certainty that I’d made the right decision. But neither could I state that I’d made the wrong one. And that’s the thing about being in those narrow straits. 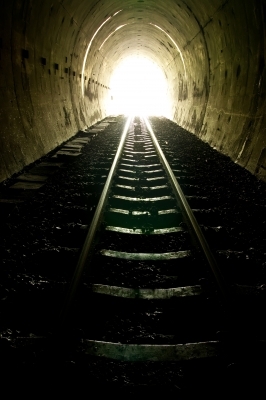 Even when we see the proverbial light at the end of the tunnel, it is hard to stand up against the ever-closing walls. Their oppressive nature can overpower. Overwhelm. And cloud our judgement. Where was my Moses when I needed him?? I think you needed the Sabbath Queen more than ever. She would of have been undertanding and given you a chance to regroup and refresh. Just couldn’t muster the koiyach!! I have been there but sometimes it seems like it is just me, thanks for your honesty! I always feel like it’s just me too.